This is a pair of never worn double knit polyester 70s pants. The pants are pale olive green color. 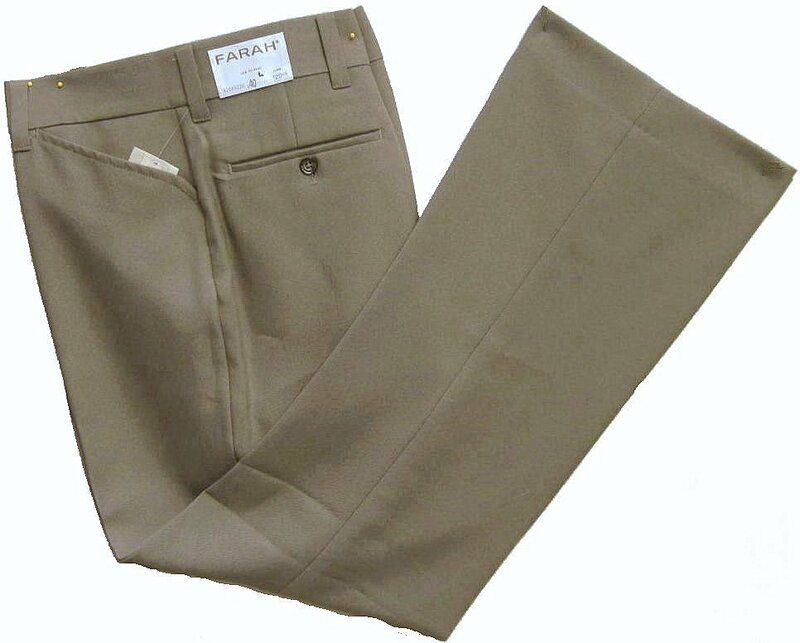 They are sturdy real pants that have a slight flare bottom. The waist measures a little over 39" for a 38.5 waist fit. Maybe a 39. Machine wash pants inside out to preserve exterior smoothness of fabric.